May 1st, 2001 Black mare, Straight Egyptian Al Khamsa Asil. Dahmah Shahwaniyah strain. Exotic and beautiful black mare! 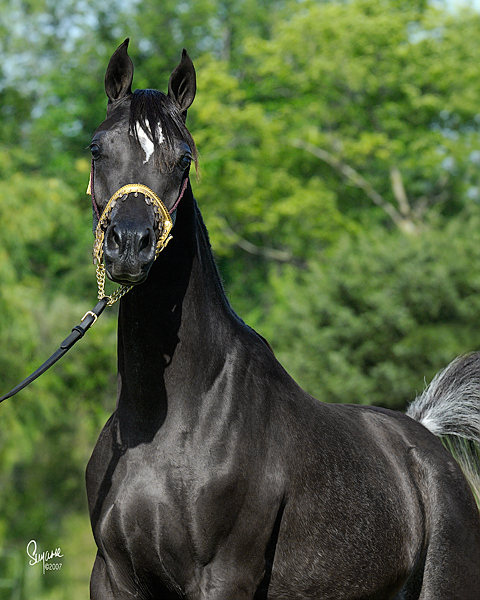 Dam of Dark Black Pearl by HU Sheikh Imaan. 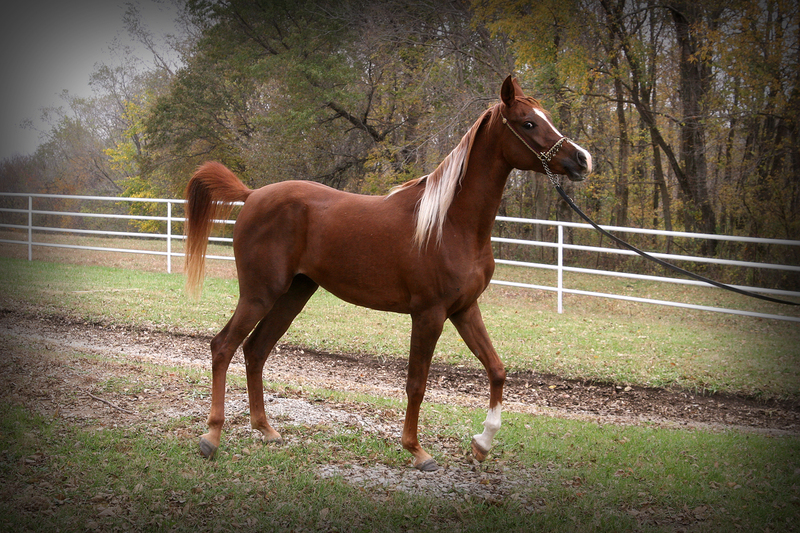 '99 flaxen chestnut mare, Straight Egyptian, Blue List, Al Khamsa, Asil. Kuhaylan Rodaniyah Strain. Another exotic El Majiid daughter. Out of a 100% Gleannloch bred mare... of top foundation lines. 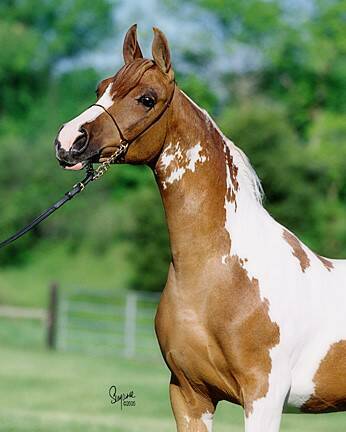 Chestnut tobiano mare sired by TC Miyake (by Zodiac Matador) and out of Rio Kings Ransom by Jordache I. She is 98.5% Arabian Pinto. Foaled 4/21/04. Halter Champion. Named Grand Champion at the Des Moines Memorial Day show and swept the HA Mare classes unanimously! And was Top Five Yearling Sweepstakes Region 13! Ransoms Pedigree. April 25, 2006. 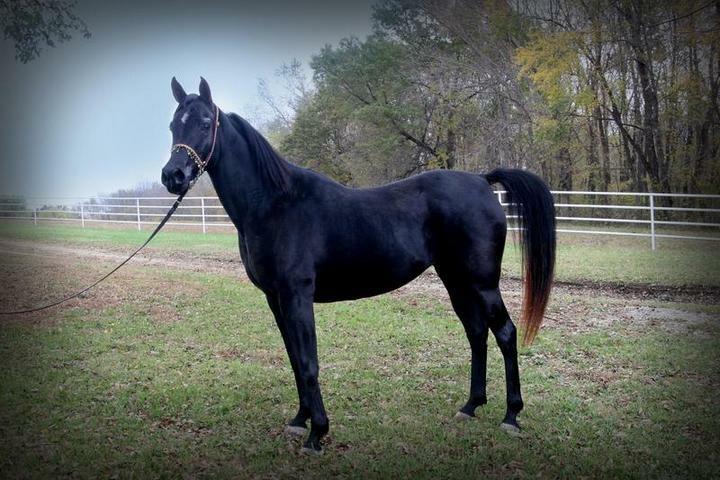 Homozygous black mare, straight Egyptian, asil. Dahmah Shahwaniyah strain. One picture is worth a thousand words. Pearl's Pedigree. April 27, 2008. Flaxen Chestnut mare, straight Egyptian, al khamsa, asil. Kuhaylan Rodaniyah strain. 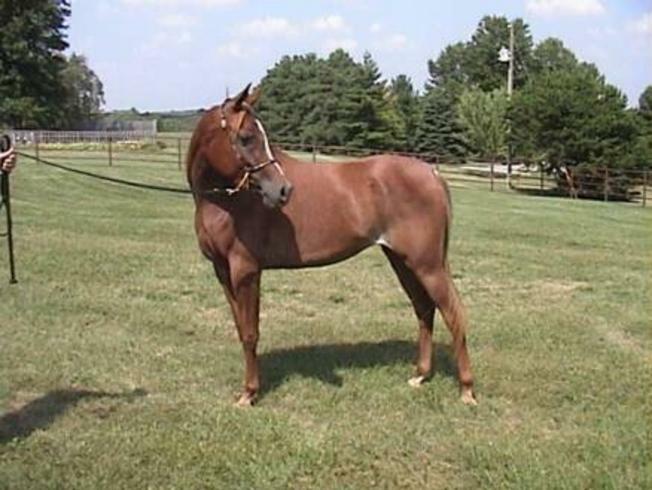 Dynamic filly with lots of presence, beautiful color and a fantastic pedigree for breeding. Shamees Pedigree.